Yo. We recently open sourced our Zap iOS app along with launching a public alpha. 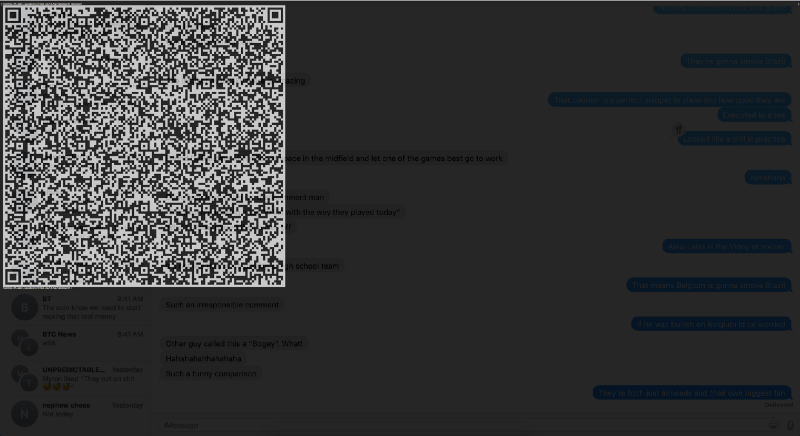 The application currently has on-device LND support toggled off (it is not stable enough quite yet), but we do support connecting to a remote node. In this tutorial I will walk you through how to setup an LND node on a Digital Ocean droplet and connect it to your Zap iOS app in under 10 minutes. Once you have a Digital Ocean account create a droplet. Select Ubuntu under “Distributions” and a 1GB memory machine ($5/month). After you click “Create” you should see your new droplet in your Dashboard view. 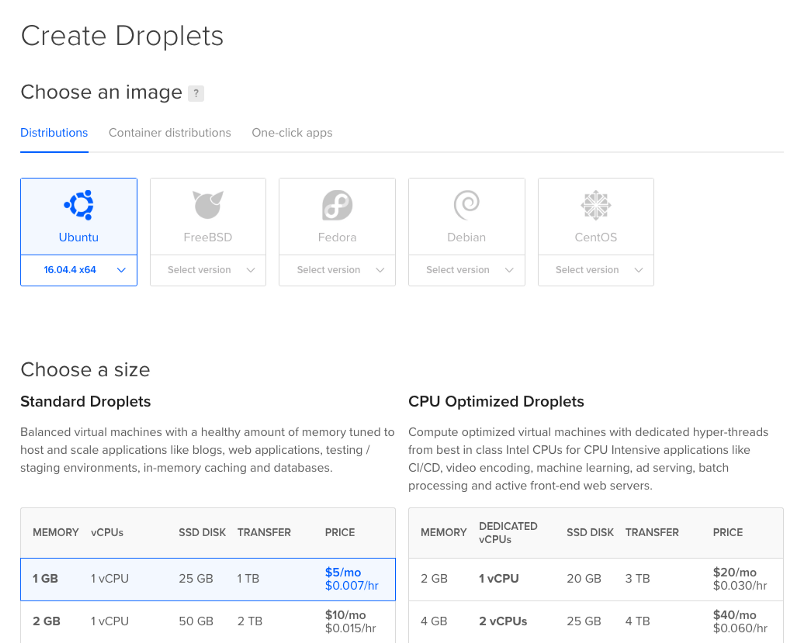 Once you create a Digital Ocean droplet you can follow this guide here to connect to your new droplet via ssh. Now that we have a droplet and are connected via ssh, let’s download the required dependencies. In order to use Go we have to make sure our GOPATH, GOROOT and PATH environment variables are setup correctly. GOGCCFLAGS="-fPIC -m64 -pthread -fno-caret-diagnostics -Qunused-arguments -fmessage-length=0 -fdebug-prefix-map=/tmp/go-build005525529=/tmp/go-build -gno-record-gcc-switches"
Franklin Street, Fifth Floor, Boston, MA  02111-1301  USA. Simply hit enter or space to continue. Now you can decide whether you’d like to run LND paired with your own Bitcoin full node (Bitcoin Core or BTCD) or if you’d like to run LND in its light client mode. To keep things brief this tutorial will use LND in light client mode on testnet. If you’d like to explore other options see LND’s installation guide. 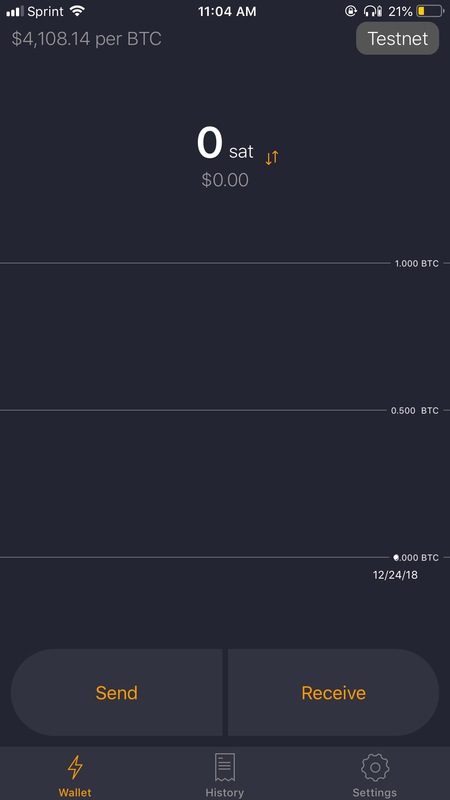 The above line starts LND on Bitcoin’s testnet, signals for light client mode, connects to a couple of full nodes hosted at zaphq.io, turns on LND’s autopilot feature, and lastly makes sure we are listening for gRPC connections. After executing the above line you will see your machine prompt you to use lncli create or lncli unlock to get started. To do so let’s detach from our screen session by hitting ctrl-a d.
While our LND node is syncing let’s setup LND Connect. 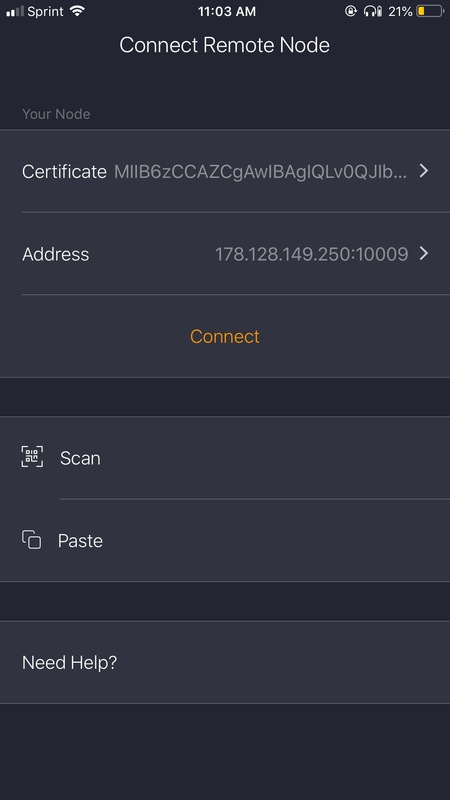 LND Connect is a simple tool to transfer your cert, macaroon and IP to the iOS app for remote connection. Now for the part we’ve all been waiting for: using a remote Lightning node from our iPhone. The certificates above do not support the LND options tlsextraip and tlsextradomain that are necessary to connect to the gRPC from a differenct location (eg. used for Zap wallet). Here’s how you can create certificates that contain extra ip addresses and domain names. You can remove and add additional DNS and IP entries, just pay attention to the commas and line breaks. This step is absolutely mandatory. You now have a 24/7 online remote Lightning Network node set up with an application to drive it remotely from your iPhone. Now future versions of the app will have LND running on the device, technical details will be abstracted, it will be tailored towards a mainstream audience, etc. But you don’t care. You couldn’t wait. You want to experience the future. You want to help push Lightning forward. For that we thank you so much. A reminder that this application is in alpha stage. Please proceed with caution (very craefully). All bugs or suggested improvements can be reported to our github or communicated directly to us via slack. zap-tutorials is maintained by LN-Zap. This page was generated by GitHub Pages.